OST to Office 365 Converter helps users to convert emails from Outlook OST file and move mailboxes file of all supported Outlook versions to O365 account, keeping Folder structure intact. The OST to Exchange Online Converter smoothly converts mailbox information stored in OST File to Office 365 Account. Software recovers and save all data items such as contacts, tasks, journal files and email messages with attachments to Office 365 environment. 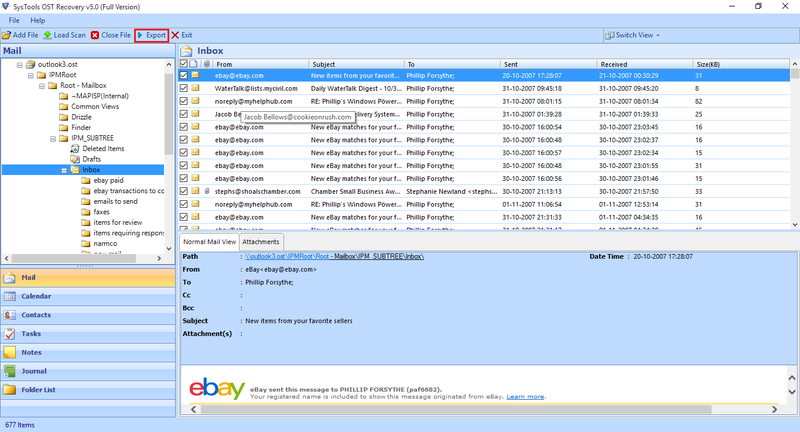 Advance Date-Based filter of OST to Exchange Online allow user to export mailbox items between the specific data range. In setting , the user has to just select the date range and software will move all selected Outlook OST file items to O365 Account. The OST to Office 365 utility provides users the option to convert & save the needed items. A user can select the desired items before the export step is executed. 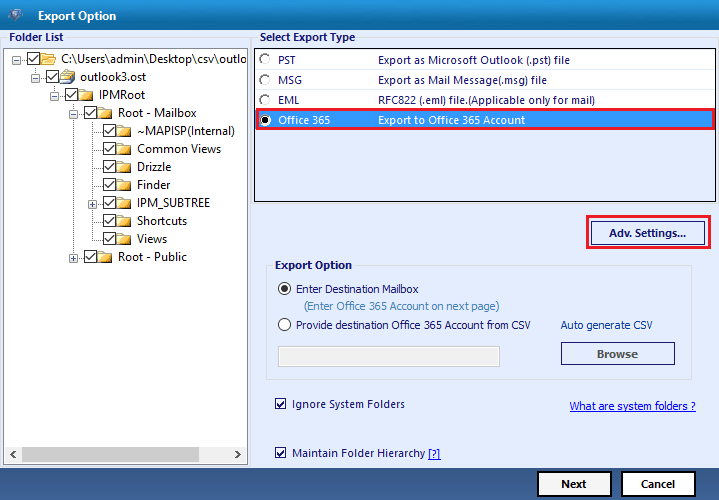 Once desired items are chosen, the export operation can be performed to move ost file to O365 Mailbox. 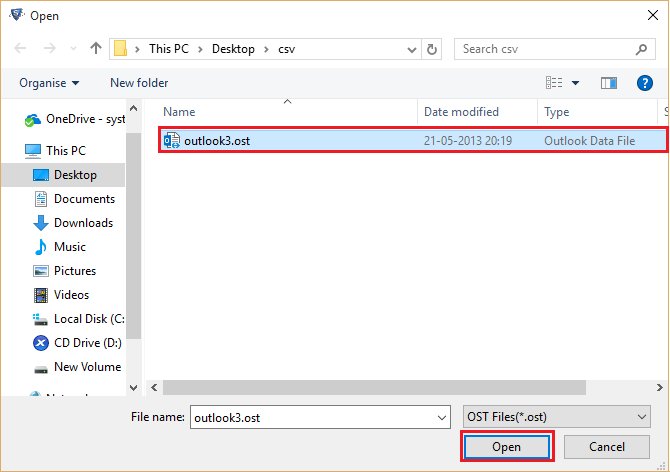 When OST File added in the Outlook OST to O365 Software, user can view all details of OST file items. Preview all categories items details such as mails, contacts, journals, calendars before the final conversion of the information to Exchange Online account. A User can upload multiple folders to Office 365 Account. In Folder List section assists the user to select the desired entire folder and move all the data items directly to the O365 Mailboxes. An Offline Storage folder used to store information while working with Exchange Server in Offline mode. With the help of .ost extension file, a user can edit, view and send emails to other accounts when internet environment is limited or unreachable. All emails get synchronized when internet connection available. 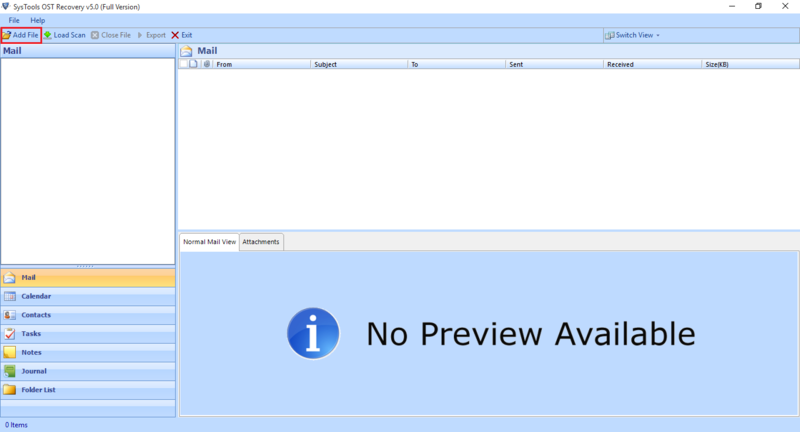 As OST file acts as the main file that stored Outlook information in Offline mode. To transfer OST to Office 365 mailbox information, a user can download OST to O365 Converter and can access mailbox details from anywhere using the internet and without any data loss. An OST File easily gets easily corrupted due to various software and hardware issues. To secure data of Offline file user can move data into other account and Office 365 application is one of utility that can easily store all information of OST File. To solve the problem of conversion, a user can download converter to import OST file to Office 365. A user-friendly and highly advance tool that moves data all mailbox folder and emails files without doing any changes and maintaining the structure in another account. Download & Run OST to Office 365 Converter and Click on "Add File" option to load OST File. Browse OST File within system and click on Open button. To select the email's message, check the box and click Right, select "Export" option. 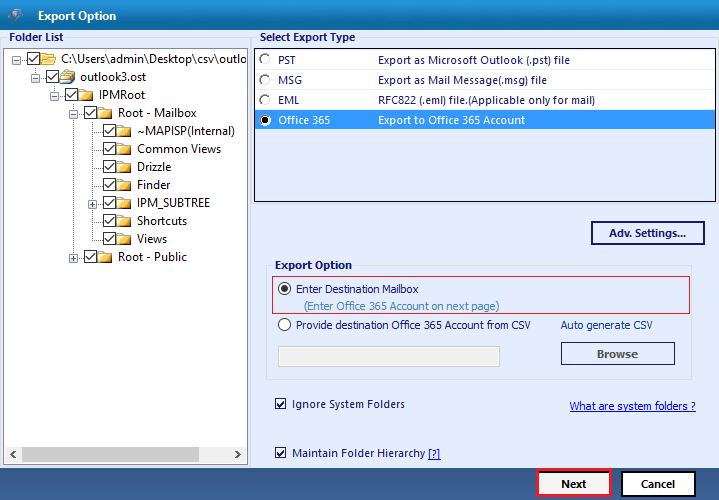 Check the Radio box of "Office 365" option to export mailboxes. Select "Advance Setting" option. Select Enter Destination Mailbox and click Next. Provide Office365 Name & Password. 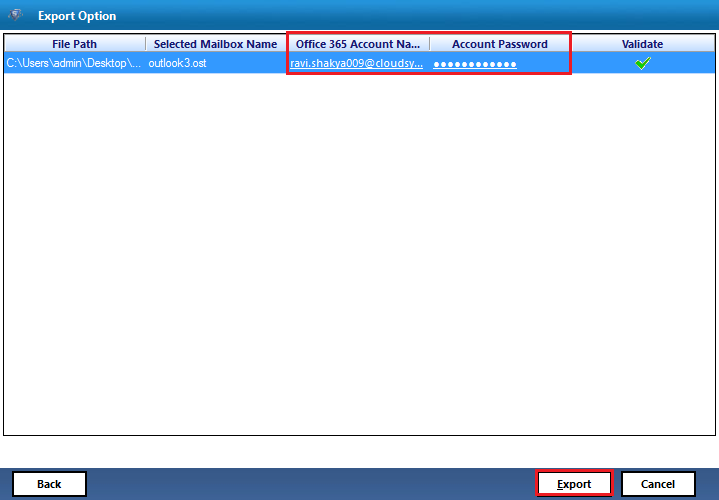 OST to Exchange Online Converter validate Office365 account, after validation, click on Export button. Now User can View the exported data in Destination Mailbox. OST to O365 Converter: All Doubts & Queries! Can I upload multiple folders of mailboxes to Office 365 Account? Yes, Just select the desired multiple folders in Export screen while conversion process. How can I move specific emais message stored in OST file to Office 365? With the help of Date-Based filter, user can transfer emails from OST to O365 account of particular Date range. 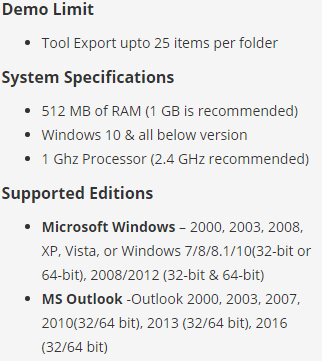 Is Software support old versions Outlook OST or not ? Getting problem to manage OST File data in local system But With help of OST to Office 365 Converter now I can upload OST file to Office 365 Account to view all my messages, contacts, and other details such as tasks and journal details on my O365 account. Advance Integrated features of the software not only help me to move my mailbox details to my Office account, but also assist to manage them properly by selected desired exported items while conversion process. Thanks to Developer team for creating an effective tool that can OST file to Office 365 account. Download the OST to Office 365 Converter and user-friendly interface help me to understand the entire conversion process. The OST to Exchange Converter easily converts mailbox information of large size OST file without any limitation. Professional tool to convert OST file data to Office 365 Account. A Great automated tool for uploading the OST file within the system to Office 365 profile. Safe & Secure method to move emails, calendars, contacts and other task details to Exchange account.